The Kingston Expo Big Breakfast invites businesses to a VIP networking breakfast prior to the opening of the 2018 Kingston Expo. This combines the Kingston Chamber of Commerces regular monthly breakfast with a special expo breakfast open to all visitors and exhibitors to attend. 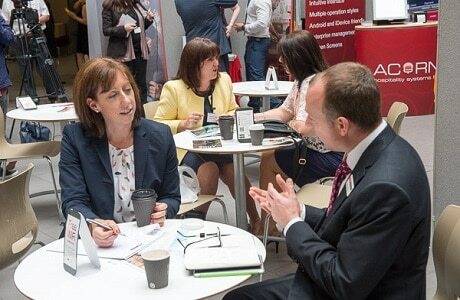 “The Kingston Business expo, represents the single biggest networking opportunity in the borough”, Business Community Lead Office, Kingston Council. Kingston University is easily accessible by car and public transport, a free bus service from central Kingston and with plenty of free parking on the day. 1 place at breakfast is included if you have booked an exhibition stand*, please ask the Chamber for details of how to book yourself in. This breakfast is being held as part of the Kingston Business Expo and is not therefore included in the Annual Event Pass offer.